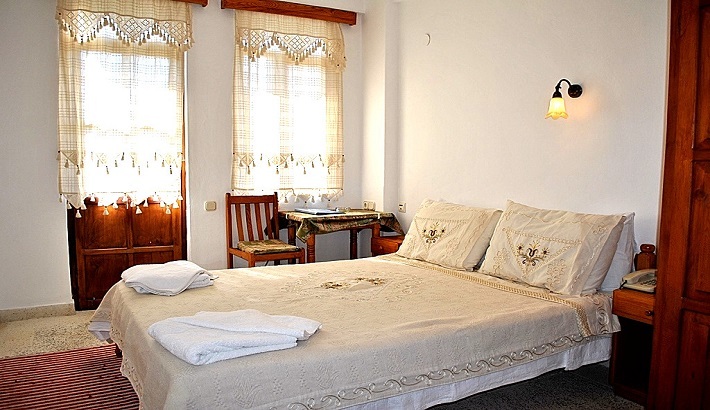 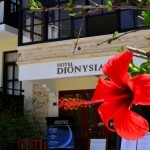 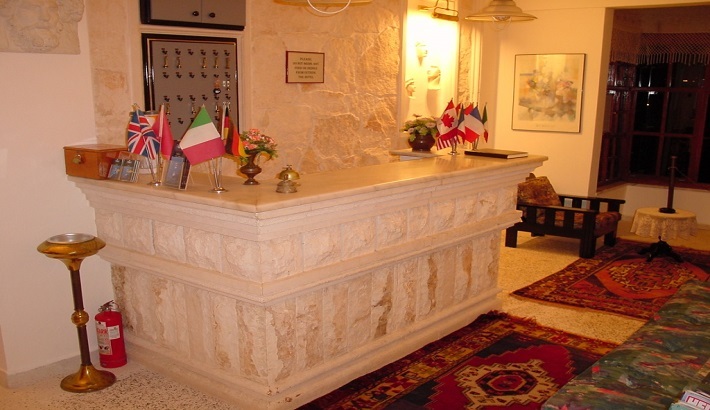 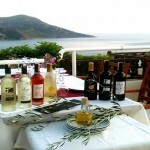 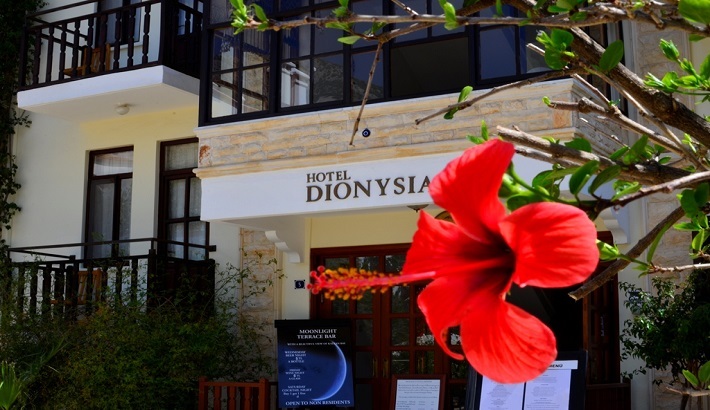 The Hotel Dionysia is located in the quiet area of the village in streets where the buildings are draped with bougainvillea, and well tended gardens host hibiscus bushes, wisteria, jasmine and many other attractive shrubs and plants. 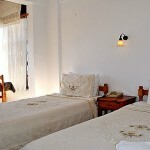 Each room is suitable for couples, either 2 adults sharing, or 1 adult and 1 child. 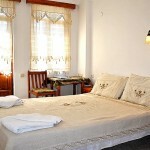 Therefore a family of 4 would need 2 bedrooms, or an apartment. 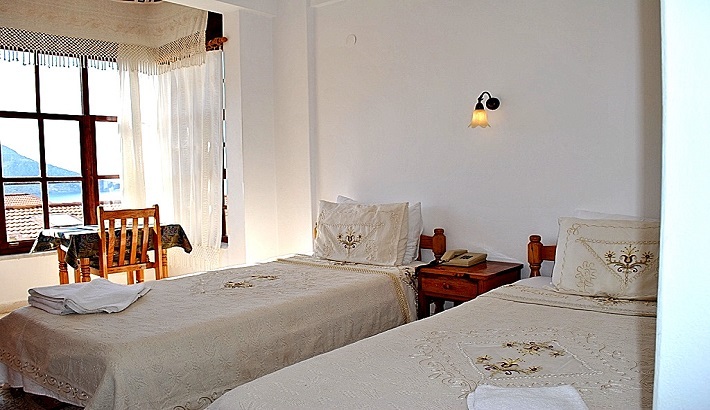 The rooms are scrupulously clean, and the cleaners make you feel welcome by adding some very special touches to your room. 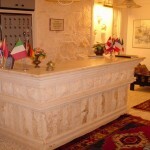 Continental breakfast is served in the dining area. 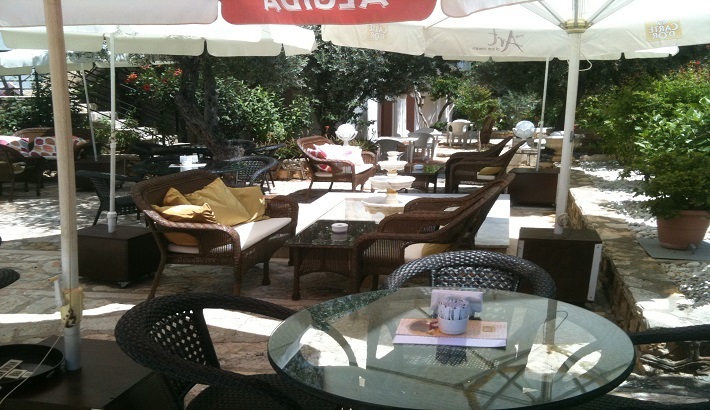 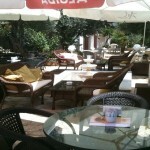 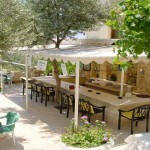 The hotel also has a poolside bar area – in the shade of olive trees – where the English speaking staff can serve you with refreshments and a selection of hot or cold snack meals throughout the day. 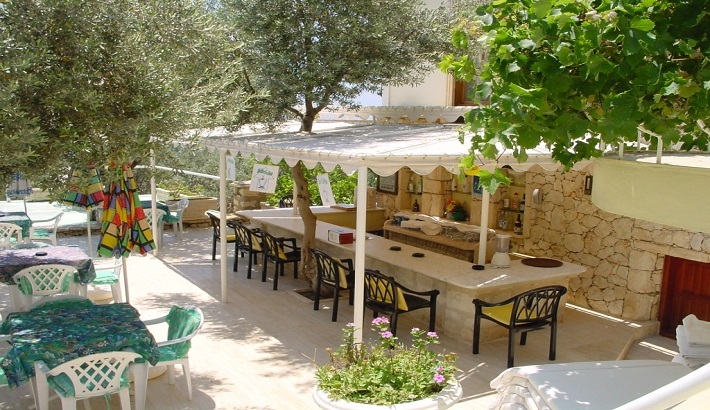 This family run hotel has a very clean, well maintained, swimming pool and plenty of sun loungers and parasols surrounding the pool area. 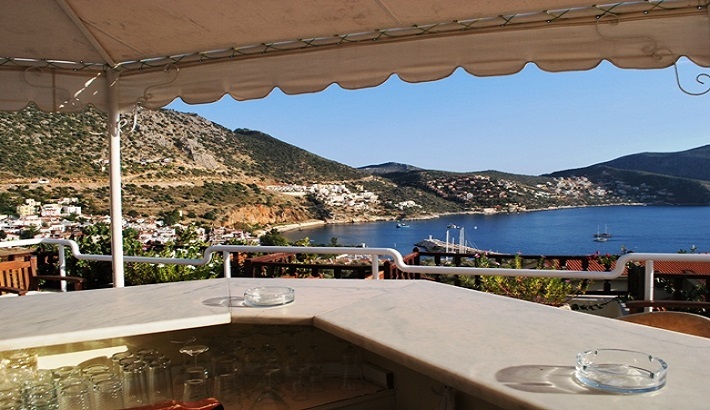 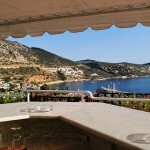 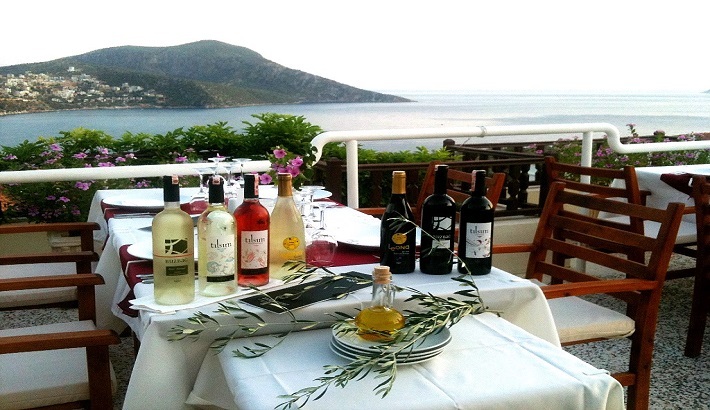 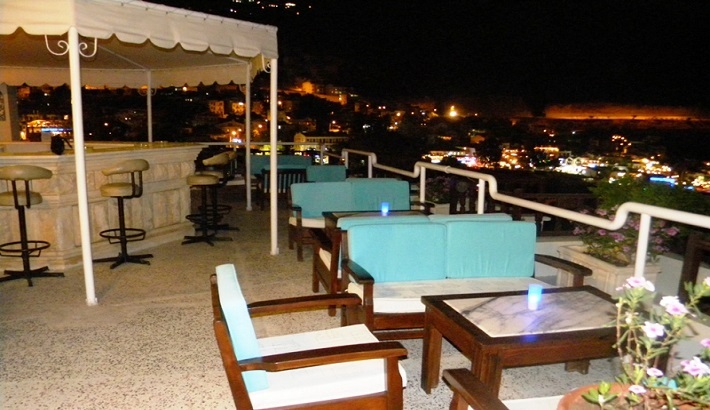 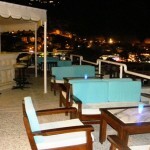 In the evening you can sit back and relax with a drink at the roof top Moonlight Bar and A La Carte restaurant situated at the top of the hotel – to enjoy the wonderful views of Kalkan Harbour, the shooting stars and the moon rising over the mountains along the Turquoise Coast.